In a hurry but you want to eat something tasty? 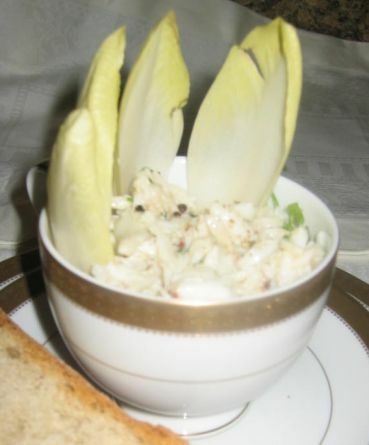 Well try the Crab salad! All you need is a few minutes to prepare this dish from start to finish. I get a lot of compliments when I serve this dish. 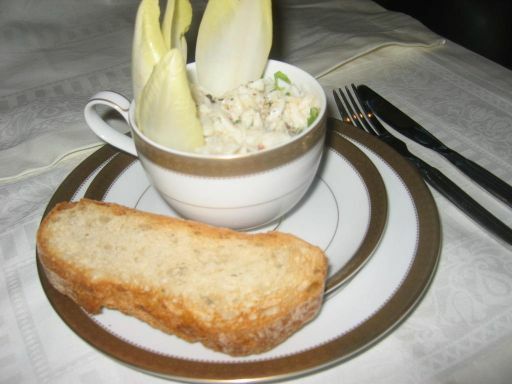 The crab meat is really the star of this dish. 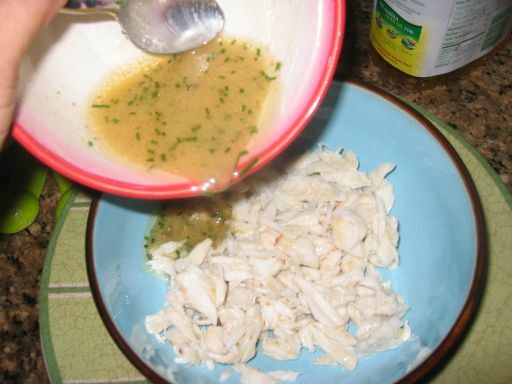 Buy the best crab meat you can to get the maximum fresh flavor from the crabs. 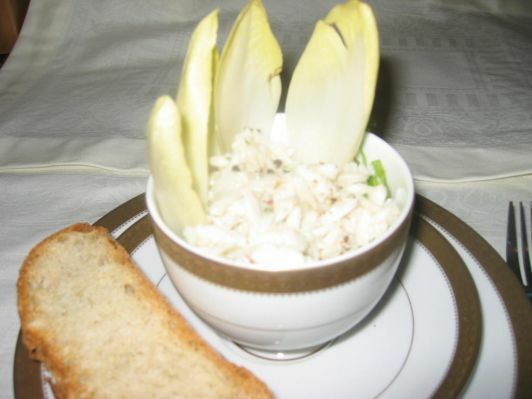 Toast a slice of bread to eat with the crab salad or you can omit the bread and just eat the salad with the endives. 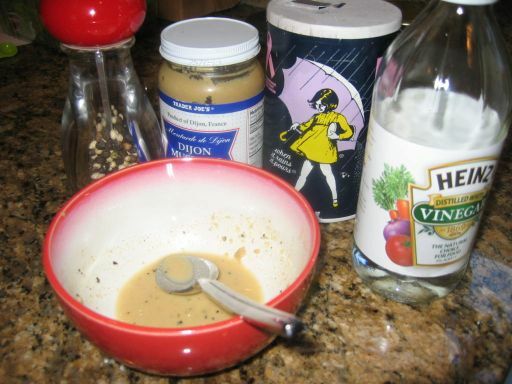 Here are the ingredients to make a vinaigrette: Salt, Vinegar, Oil, mustard, sugar, and pepper. All the ingredients are added in the bowl to blend. 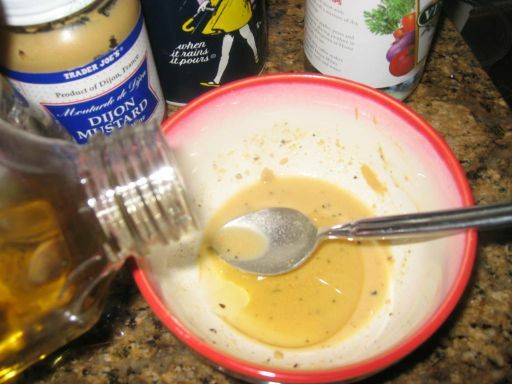 Gradually the oil is whisk in mixture. 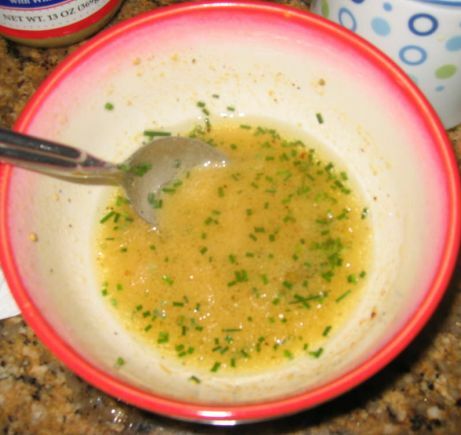 Chopped chives are added into the vinaigrette. 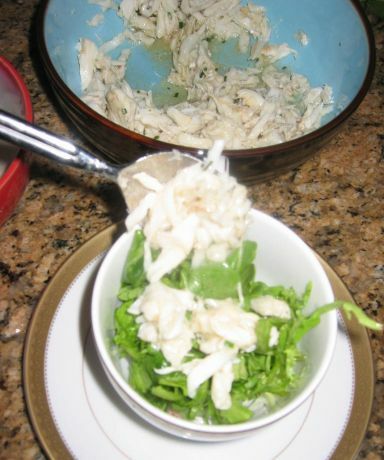 Pouring the Vinaigrette gently to coat the crab meat. 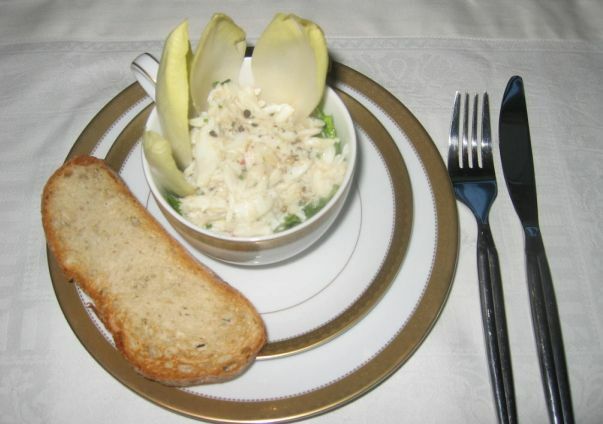 A layer of green salad coated with vinaigrette is set at the bottom of the cup then the crab meat is set on top. 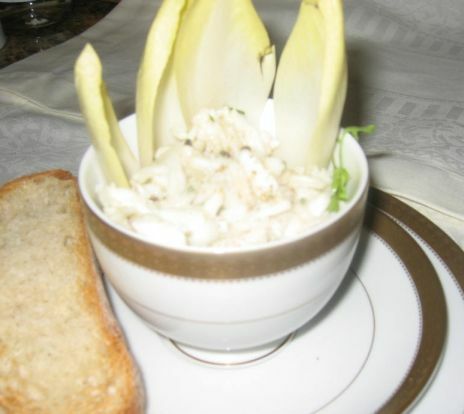 Endives leaves is added to the presentation.